November is one of those months that usually involves spending a lot of time with family (or your cool group of friends, or their families, or whatever), and Amazon Prime is looking out for all of us with a new selection of largely crowd-pleasing streaming content that everybody should be able to get on board with. 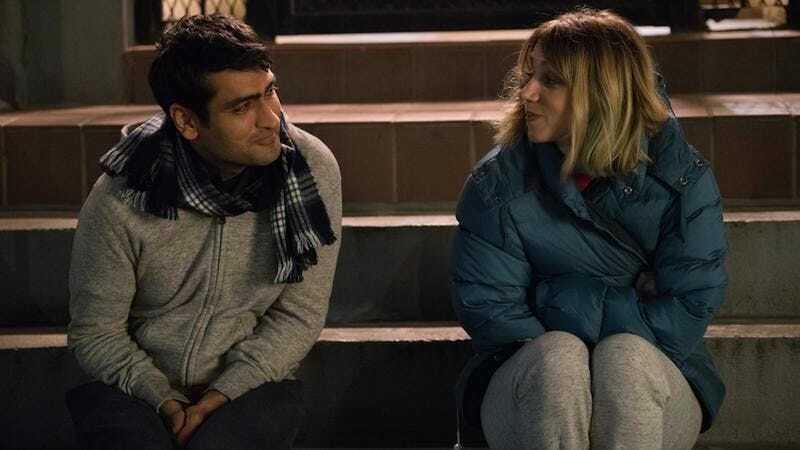 The top title is probably The Big Sick, Kumail Nanjiani’s real-life love story, but Prime subscribers will also be able to enjoy the ‘90s-set family comedy Landline with Jenny Slate or partake in some mutual misery by watching Marc Webb’s The Only Living Boy In New York. Prime subscribers are also getting access to USA’s Falling Water and non-Amazon movies like The Circle, The Lovers, and Allied. There will also be three Thursday Night Football games: Seahawks vs. Cardinals on November 7, Titans vs. Steelers on November 16, and the Washington team with the racist name vs. the Cowboys on November 30. You can see the full list of what’s coming to Amazon Prime in November below.